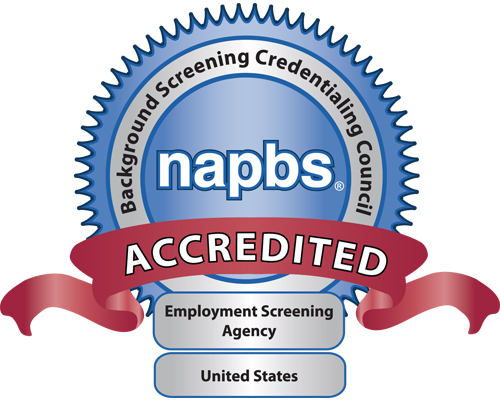 Pittsburgh, PA, September 22nd, 2014 – The National Association of Professional Background Screeners (NAPBS) and Background Screening Credentialing Council (BSCC) announced today that Justifacts Credential Verification, Inc. has successfully demonstrated compliance with the Background Screening Agency Accreditation Program (BSAAP). Justifacts will now be formally recognized as BSCC-Accredited. Each year, U.S. employers, organizations and governmental agencies request millions of consumer reports. These reports are to assist with critical business decisions involving background screening. Background screening reports, which are categorized as consumer reports, are currently regulated at both the federal and state level. Since its inception, NAPBS has maintained that there is a strong need for a singular, cohesive industry standard. And thus, the NAPBS created the BSAAP. Governed by a strict professional standard of specified requirements and measurements, the BSAAP is becoming a widely recognized seal of achievement that brings national recognition to background screening organizations or reporting agencies. This recognition will stand as the industry “seal,” representing a background screening organization’s commitment to excellence, accountability, high professional standards, and continued institutional improvement. The BSCC oversees the application process and is the governing accreditation body that validates the background screening organizations seeking accreditation meet or exceed a measurable standard of competence. To become accredited, consumer reporting agencies must pass a rigorous onsite audit of its policies and procedures as they relate to six critical areas. These include consumer protection, legal compliance, client education, product standards, service standards, and general business practices. Usually, an independent auditing firm handles this difficult audit. Any U.S.-based employment screening organization is eligible to apply for accreditation. A copy of the standards, the policies and procedures, and measurements are available at www.napbs.com. Justifacts is a full-service background-screening company that provides more than 140 background search options, including: Criminal Background Checks, Social Security Number Verifications, Employment Verifications, Professional and Personal References, Education Verifications, Motor Vehicle Record Checks, Credit Histories, Drug Testing, as well as many other offerings pertaining to employment background screening solutions. With over 35 years of experience, Justifacts focuses on providing superior background screening services while offering a customer service model that includes a dedicated account management team that is familiar with our clients’ needs. To learn more, go to www.Justifacts.com. Founded in 2003, as a not-for-profit trade association, the National Association of Professional Background Screeners represents the interests of more than 700 member companies around the world that offer tenant, employment, and background screening. NAPBS provides relevant programs and training aimed at empowering members to better serve clients and maintain standards of excellence in the background screening industry and presents a unified voice in the development of national, state and local regulations. For more information, visit www.napbs.com.